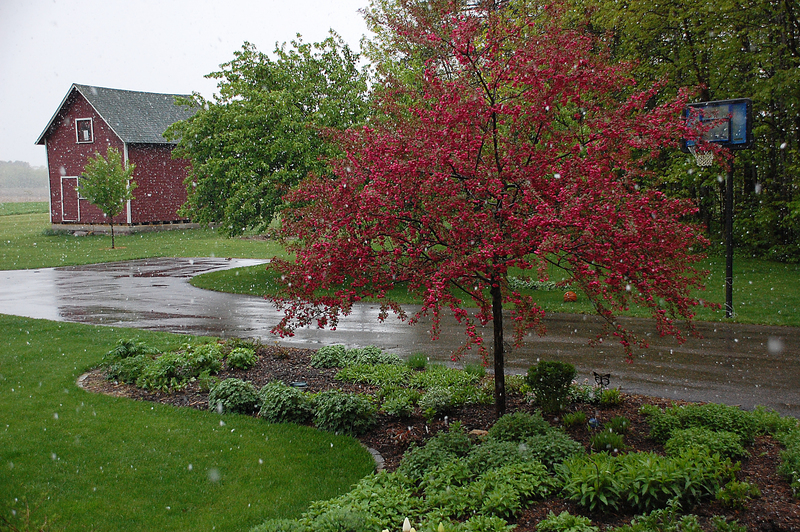 The Prairie Fire Crabapple tree in full bloom seemed out-of-place with the big snow flakes drifting down. 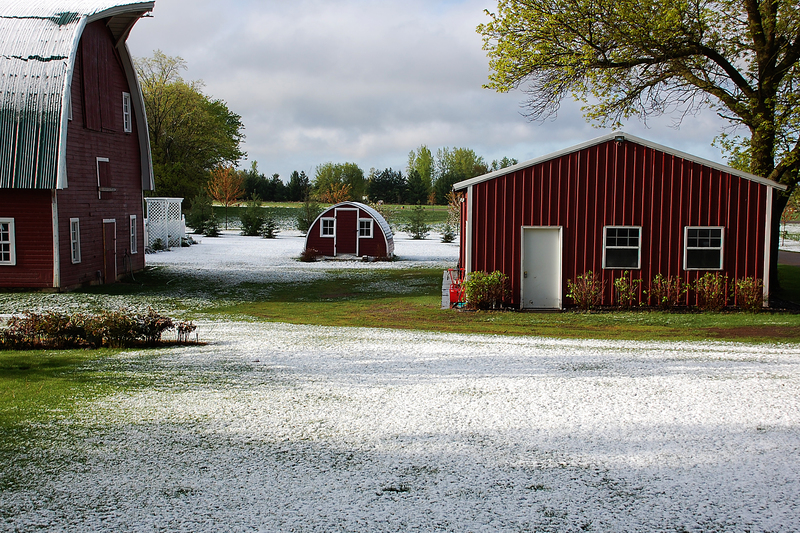 May is often a cruel month for gardeners in Minnesota and this year is no different. 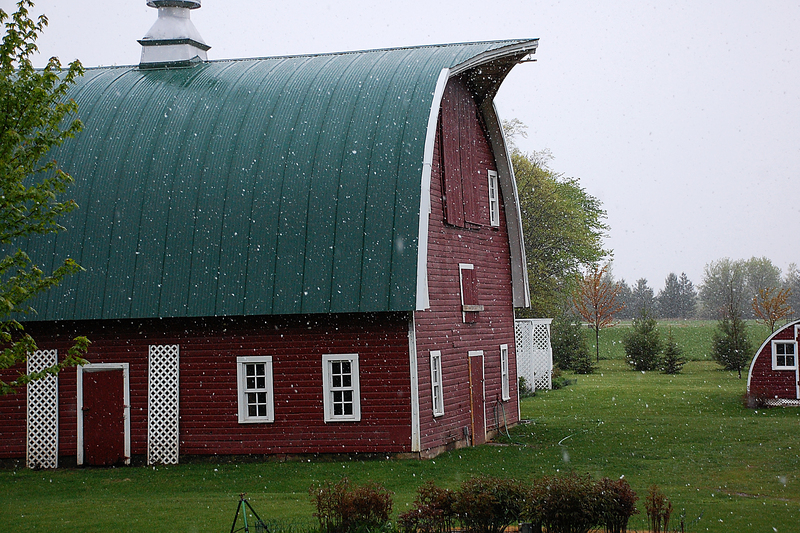 After a long winter, we get our hopes up for the upcoming growing and gardening season, even if it is a short one. And then, on any random morning in May, we might wake up to this…. Scenes like this are not happy scenes for any Minnesotan. For us gardeners, however, they are especially disappointing. It is devastating to see my Dwarf Korean Lilac bushes, full of blossoms and ready to burst with their fragrant flowers, covered with snow. 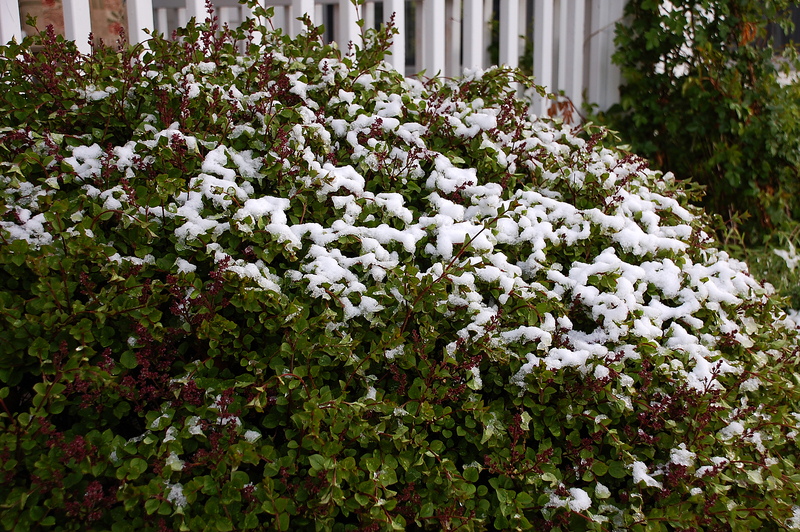 The ‘Autumn Joy’ Seedum plants are tough, but should they really have to deal with this in May? 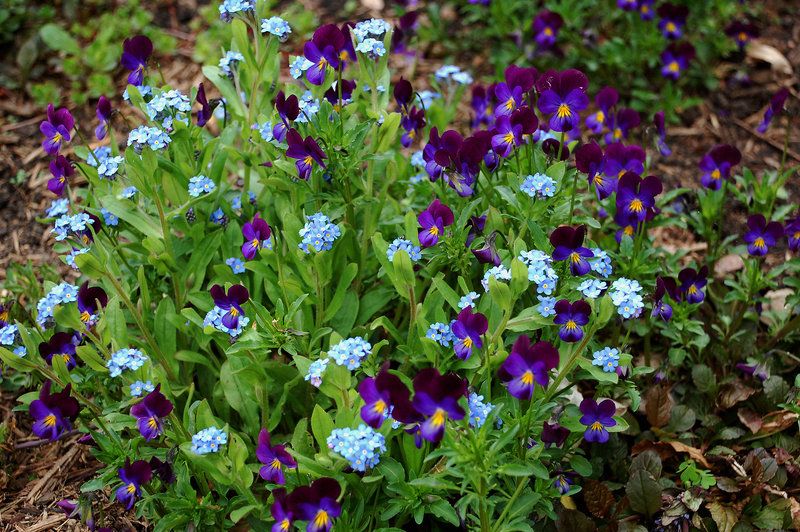 And remember these cute groupings of forget-me-nots and johnny-jump-ups? They were also looking very sad in the morning. 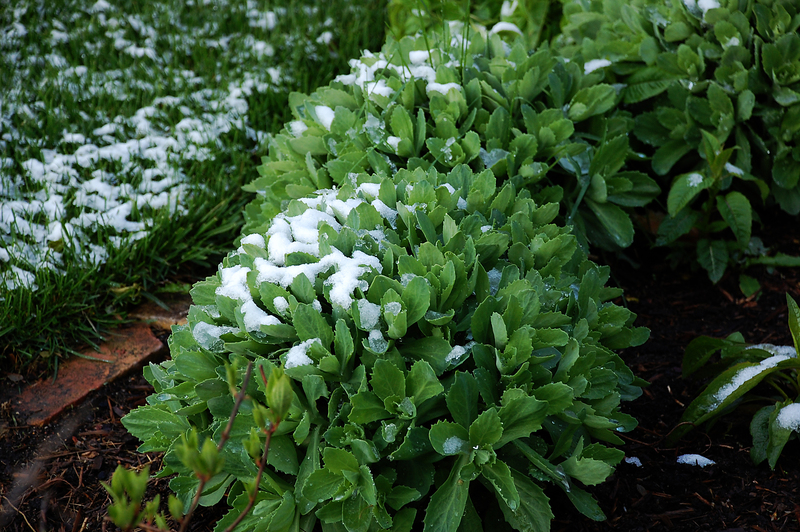 The snow quickly melted away in the morning and the plants did not seem damaged. This morning, however, we woke up to temperatures in the high 20’s F. I glanced out the window to see frost covering the lawn and my perennial gardens. My lupines, which had grown quite large already, were drooping over on the ground. The leaves of many other perennials were glistening with the frost on their leaves. So now I will wait. 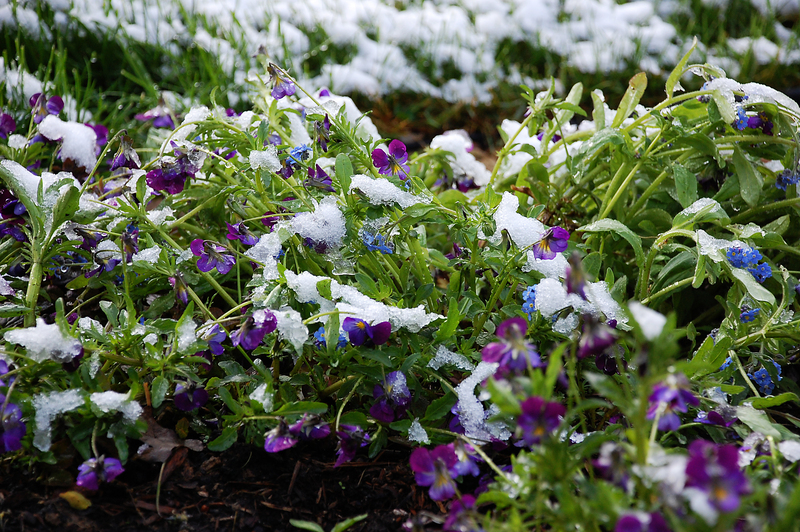 I will wait to see the full extent of the damage caused by the snow and freezing temperatures to my gardens that were off to such a lovely start. For those of you gardening in warmer zones, be glad and be thankful. 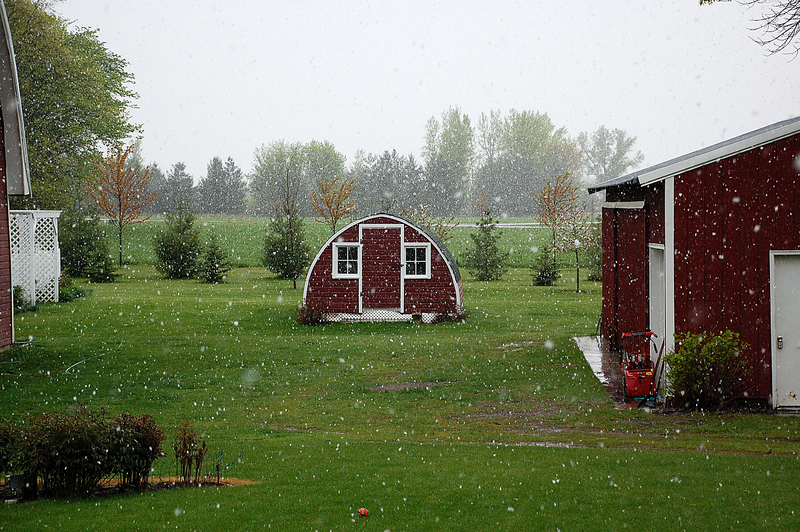 May in Minnesota can be very tough on the spirits of us gardeners. Well alrighty then…I am going to shut up about our incessant rains. Snow in May is completely inconceivable to me! The snow was miserable, but the freeze the next day was the really frustrating part. It looks like most of my perennials will be o.k., but the apple trees will most likely be a total loss, as the blossoms look like they were hit pretty hard. Sad! Go ahead and complain about all your rain – it can be pretty miserable too. I SO love your home!! It is truely beautiful!!!! Sorry about your plants, trees, etc. I have lost stuff in the past, too so I know how you must feel. Do you know a good place to buy Johnny jump ups, forget me nots, & snow on the mountain plants that are not too expensive? I am looking for the plants, NOT the seeds. Thanks!! I don’t know where to get the actual plants, other than getting some extras from friends. That’s where I have gotten my Johnny jump ups and forget me nots. They reseed themselves so prolifically that people usually have extra in their garden they will part with.